When I pondered why I write, my mind flipped the question to why I don’t write during so many fallow periods. There have been so many reasons over the years: school, work, social life, teaching, raising kids. It’s not that I haven’t had plenty of active writing periods. I wrote poetry as a kid and, later, as a teen. I attended grad school for an MFA in poetry and fiction. When casual poetry workshops formed online, I joined them. When schools offered more formal online workshops, I attended some of those, too. But I would write with passion for weeks or months or even years—and each writing period would be followed by a period where I wrote little, if anything. I didn’t have writer’s block. I don’t even know what that is. I’ve just lived my life and waited for writing to demand my time again. Even now, I am always finding something that keeps me from writing. I spend time on my elderly mother’s needs. I foster (and adopt, too—it’s called foster failure in the shelter biz) homeless cats and volunteer at the local shelter. My husband and I travel for work and we travel for pleasure. So the question that might help me answer Bob’s initial one is what brings me back to writing? It must be the pressure of not writing. The idea bin in my head and the idea list hidden under my daily to-do list both spill over. I realize I can no longer sort through my thoughts and feelings. Thoughts and feelings begin to merge, to blend together. I get cranky. Really cranky. And then I start to write again. At first it’s a little bit like throwing crap on the wall, but then my mind develops some clarity. I feel more in the moment and can process my emotions as separate events from my thoughts. I become less cranky, even a bit amiable, and when I’m tired, I turn off the computer screen and have a glass of wine, happy to put away a draft of a poem for tomorrow. Listen to Luanne read “When Your Grandfather Shows You Photographs of His Mother,” a poem from her recent publication, Kin Types. 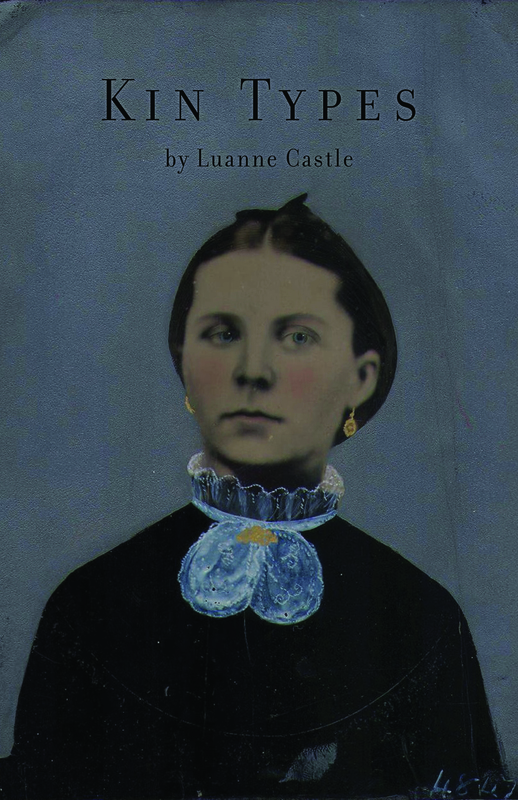 Winner of the 2015 New Mexico-Arizona Book Award, Doll God, Luanne Castle’s first collection of poetry, was published by Aldrich Press. 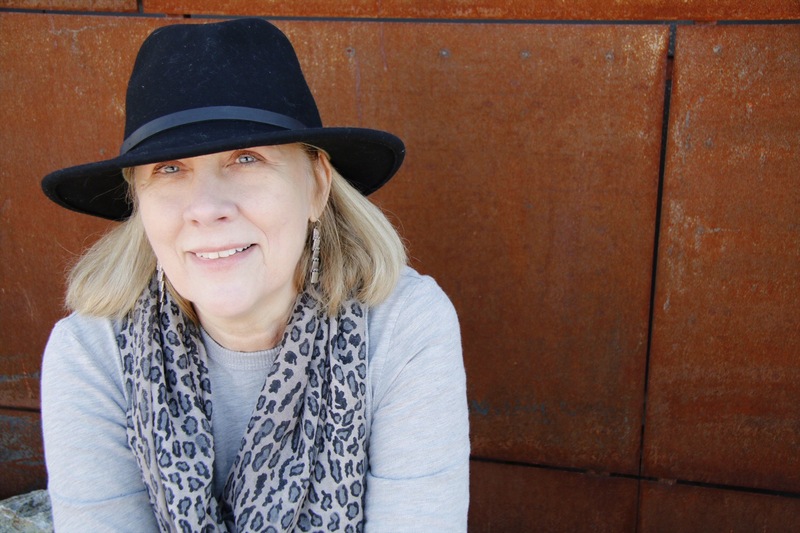 Luanne’s poetry and prose have appeared in Grist, Copper Nickel, River Teeth, Glass Poetry Press, Barnstorm Journal, Six Hens, Lunch Ticket, The Review Review, and many other journals. Kin Types, a chapbook of poetry and flash nonfiction, was published July 2017 by Finishing Line Press. Kin Types was a semi-finalist in the Concrete Wolf chapbook contest. Luanne has been a Fellow at the Center for Ideas and Society at the University of California, Riverside. She studied English and creative writing at the University of California, Riverside (Ph.D.); Western Michigan University (MFA); and the Stanford University writing certificate program. Her scholarly work has been published in academic journals, and she contributed to Twice-Told Children’s Tales: The Influence of Childhood Reading on Writers for Adults, edited by Betty Greenway. For fifteen years, she taught college English. An avid blogger, Luanne can be found at luannecastle.com. She divides her time between California and Arizona, where she shares land with a herd of javelina. Watch the trailer for Kin Types. There are many reasons, known and unknown, as to why I write; I don’t like to think these reasons change necessarily, but rather, amass over time—no, maybe, these reasons refine over time. These days, I am writing a lot of elegies, so if I had to answer in the present, I write because it brings me closer to the dead, and being close to what is no longer animate, in whatever state or form, makes the pain that comes with loss just a little more bearable. Even death welcomes conversation. Khaty Xiong was born to Hmong refugees from Laos and is the seventh daughter of fifteen brothers and sisters. 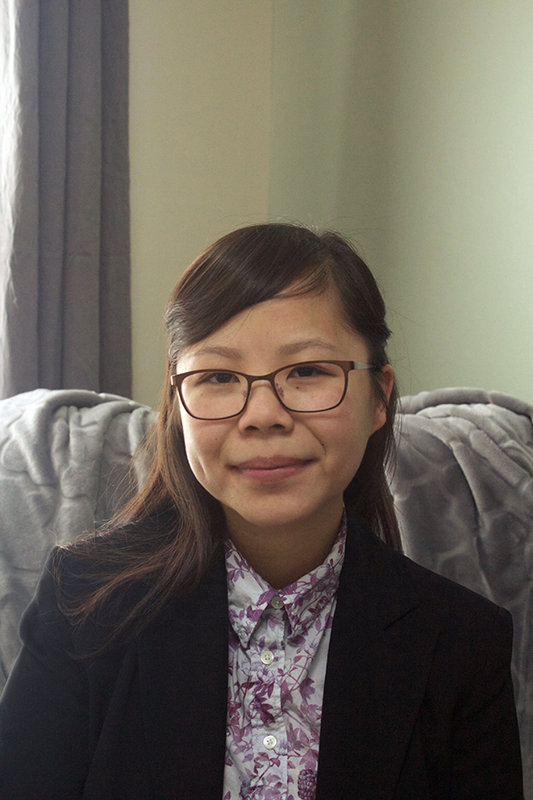 She is the author of debut collection Poor Anima (Apogee Press, 2015), which is the first full-length collection of poetry published by a Hmong American woman in the United States. In 2016, she received an Ohio Arts Council Individual Excellence Award in recognition of her poetry. Xiong’s work has been featured in The New York Times and How Do I Begin? : A Hmong American Literary Anthology (Heyday, 2011), including the following websites, Poetry Society of America and Academy of American Poets. She lives in Gahanna, Ohio. Read a review of Poor Anima here. Tupelo Quarterly recently published this review of Ode to the Far Shore and two other micro-chapbooks published in the Platypus Press 2412 series. 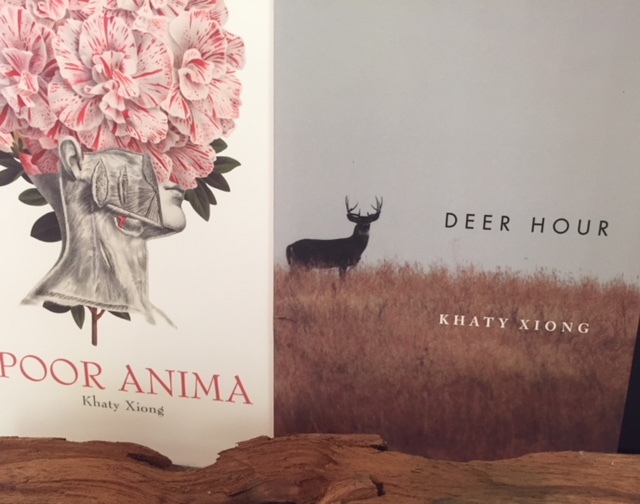 Visit the Academy of American Poets’ site to read this illuminating series on Hmong American poets, and to read and listen to Khaty’s poem, “In Mother’s Garden.” You’ll have to scroll down to find it, but it’s well worth the effort. And please read the rest of the series while you’re there. 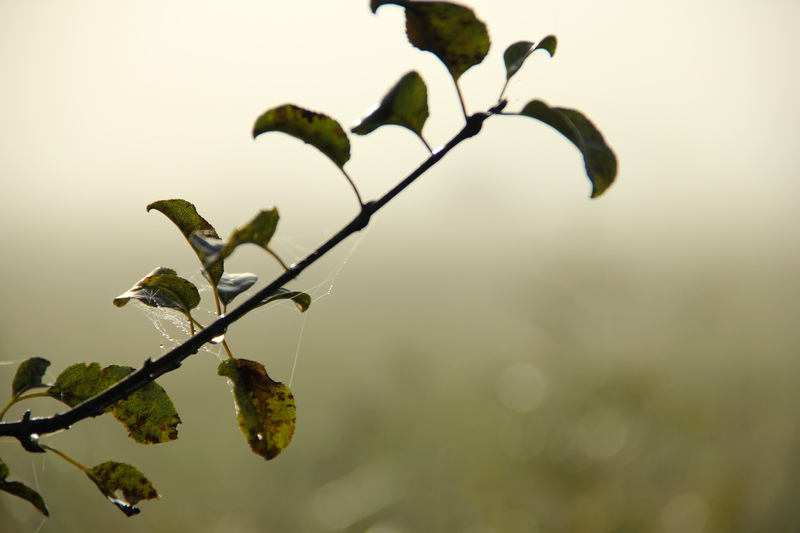 Welcome to “Sunday Compulsion,” in which creatives answer one question: Why do I create? Poet Devi S. Laskar kicks off this new weekly feature. I’ve been writing poems since I was 9 years old. It’s who I am: a poet. I write nonfiction and I write short stories and novels and I do so because I have this desire to communicate. I am interested in all kinds of forms. And I love to read, which is probably why I live to write. I’m trying to write the stories and the poems I haven’t read yet. 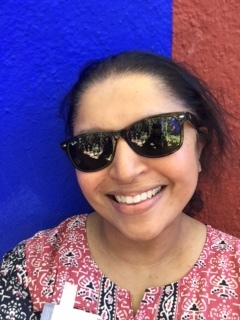 Devi S. Laskar is a native of Chapel Hill, N.C. She holds an MFA from Columbia University in New York, an MA in South Asian Studies from the University of Illinois at Urbana-Champaign and a BA in journalism and English from the University of North Carolina at Chapel Hill. A former newspaper reporter, she is now a poet, photographer and artist. 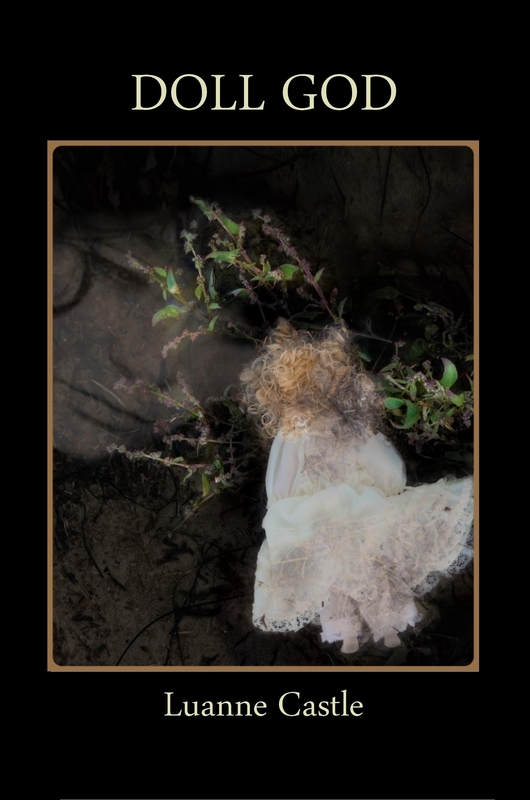 Her photographs include the cover of The Florida Review; and in the pages of Tiferet Journal and Blue Heron Review. Her art can be found currently on the cover of L.A. based Las Lunas Locas poetry anthology. Her poems have appeared in numerous journals including The Blue Heron Review, which nominated her for Best of the Net 2016 & The Raleigh Review, which nominated her for Best New Poets 2016. She is an alumna of both TheOpEdProject and VONA/Voices, and served as a Tupelo Press’ 30/30 Project poet in December 2015. She is also an alumna of Hedgebrook, and poetry workshops at the Community of Writers at Squaw Valley. In 2016, she won first prize in poetry at the 27th Mendocino Coast Writers Conference contest. 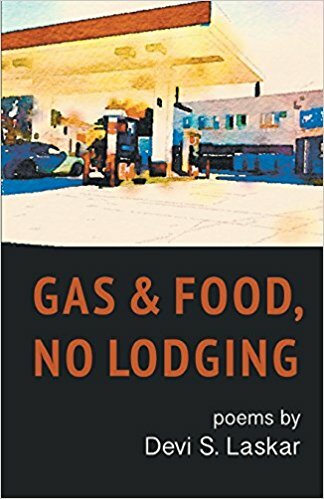 Finishing Line Press published the first of two chapbooks, “Gas & Food, No Lodging” in March 2017; and will publish “Anastasia Maps” later this year. She now lives in California. as well as Bookshop Santa Cruz and online at Barnes & Noble. To learn more about Devi, visit her website, which includes links to her artaday, essays, and various publications her work has appeared in.